This post is based on the article “Statistical Issues in Forensic Science” by CSAFE Co-Director and Professor of Statistics Hal Stern of Univeristy of California, Irive. Review the full article in the Annual Review of Statistics and Its Application. When it comes to solving crimes, forensic examiners play a key role in the investigation process and trial proceedings. Their responsibilities vary widely depending on the type of crime and available evidence. For example, examiners may be called on to identify time of death in a homicide case, reconstruct the events of crime from blood spatter patterns, or take a close look at physical evidence such as broken glass or fingerprints found at the scene. Their analysis of evidence provides crucial details that help in the search for the culprit. The remainder of the discussion here is focused on the role of forensic examiners in attempting to identify if a suspect is linked to particular item of evidence in the case. It is important to understand that the goal in examining a single piece of evidence is actually not to determine the guilt or innocence of the suspect. Rather, it is an effort to identify if the evidence is associated with the suspect, e.g., if the suspect is a possible source of a fingerprint found at a crime scene. Any number of legitimate reasons could lead to finding evidence from a suspect at the crime scene, such as a visit to the scene at a different time. DNA – DNA found in biological samples recovered at the crime scene is among today’s most powerful forms of forensic evidence. The forensic examiner’s task when analyzing this type of evidence is to determine if the DNA profile of a suspect matches the DNA profile found in the crime scene sample. They then must assess the significance of this agreement. Trace Evidence – Refers to evidence types characterized as a fragment or sample of a larger object that is left behind at the time of the crime. This type of evidence could include glass fragments from a broken window, hairs from an individual, or fibers from clothing or carpet. The challenge here is to determine if a sample of trace evidence from the crime scene matches another sample obtained from a suspect (or perhaps from an object in the suspect’s possession). Pattern evidence – Evidence left at the crime scene that is the result of an impression left by a person or object is known as pattern evidence. 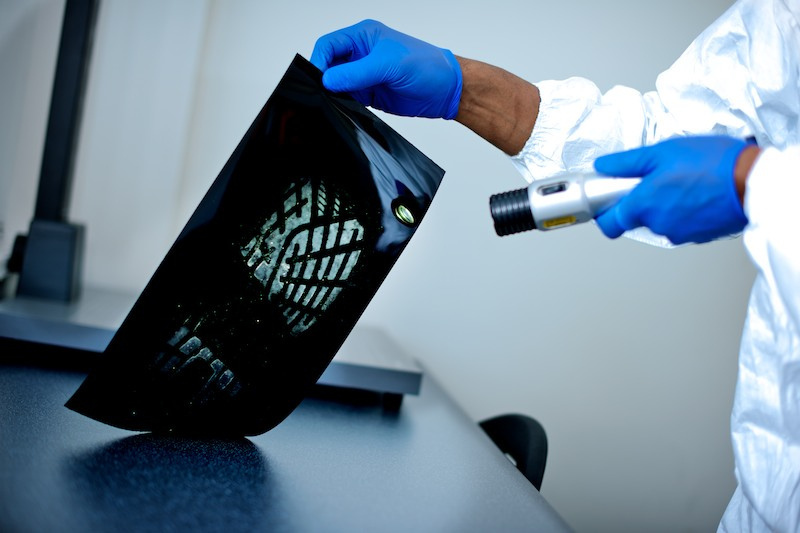 The forensic examiner must attempt to determine if the impression found at the crime scene matches the pattern of an analogous sample obtained from the suspect or from an object known to belong to the suspect. Types of pattern evidence include fingerprints, shoeprints, documents/handwriting, toolmarks and firearm impressions. Digital evidence – Digital technology is playing a larger and larger role in criminal and civil investigations. Digital evidence can refer to any information obtained from a device implicated in an investigation. Examples include images or messages found on a smartphone belonging to a suspect. Digital evidence can be challenging to analyze due to the wide variety of different evidence types that may be found on digital devices. Forensic examiners summarize their evidence analysis in reports that play a crucial role in investigations and trials. Recent events have called into question the scientific and statistical foundations of evidence analysis and interpretation. This includes the release of two reports, the 2009 National Research Council (NRC) report and a 2016 report of the President’s Council of Advisors on Science and Technology (PCAST), in which committees comprised of scientists from a number of disciplines questioned whether there was sufficient quantitative data supporting the statements made by forensic examiners in a number of disciplines. Beyond these reports, an additional source of concern is a number of cases in which forensic science errors have been identified. A famous example is the very public case involving American lawyer Brandon Mayfield. Fingerprint examiners from the Federal Bureau of Investigation (FBI) mistakenly identified Mayfield as the source of a latent fingerprint found at the scene of a 2004 train bombing in Spain. The Innocence Project, a nonprofit legal organization founded in 1992, details countless other situations where unreliable or improper forensic science led to wrongful convictions. The organization has been instrumental in freeing more than 300 wrongfully convicted individuals through the beginning of 2018 and improper forensic science is identified as a contributor in roughly half of these cases. Both the 2009 NRC report and the 2016 PCAST report emphasized the need for additional study of forensic science methods. It is clear that statistical methods have a key role to play in strengthening the scientific foundations of forensic examinations. 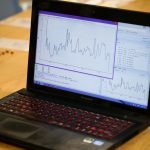 Statistics is the science concerned with designing studies and experiments, analyzing and interpreting the results, and summarizing the information obtained. As such, it can contribute to studies aimed at determining the accuracy of the conclusions drawn by forensic examiners, addressing cognitive biases, examining the influence of irrelevant information on analysis, evaluating modifications to case processing procedures and more. This post is based on the article “Statistical Issues in Forensic Science” by CSAFE Co-Director Hal Stern of UCI published in Annual Review of Statistics and Its Application.